A pleasant flashback from my trip - driving home through Verona - cute and small Italian city, where gelato (Italian name for ice-cream) is the tastiest in the world. Приятное воспоминание с моей поездки - дорога домой через Верону - маленький и милый итальянский городок, где джелато (итальянское название для мороженого) самое вкусное на свете. I love your top and your jeans Anna, just like Tea says you look beautiful! 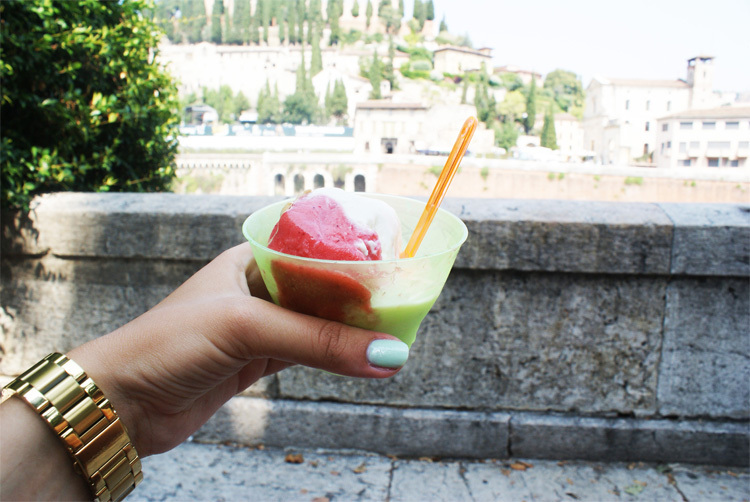 That frozen yoghurt looks delicious too, Verona seems incredible! Looking very pretty on a breezy casual day Anna! Great pictures! Love your shirt! Really gorgeous photo's. I love your shorts. Looks like a gorgeous place. Love your outfit. It's super cute. Thanks for visiting my blog, I really appreciate that! You have such a lovely blog and I'd love to follow each other! Hi there, sure I'd love to follow each other. Already followed you on GFC, kindly follow me back? :) Thank's before! You have a gorgeous blog my dear! You are superpretty too. You are so pretty, and the outfit is cute! you always seem to visit the loveliest of places! you look beautiful! I will definitely be back on your blog! Great Pictures. 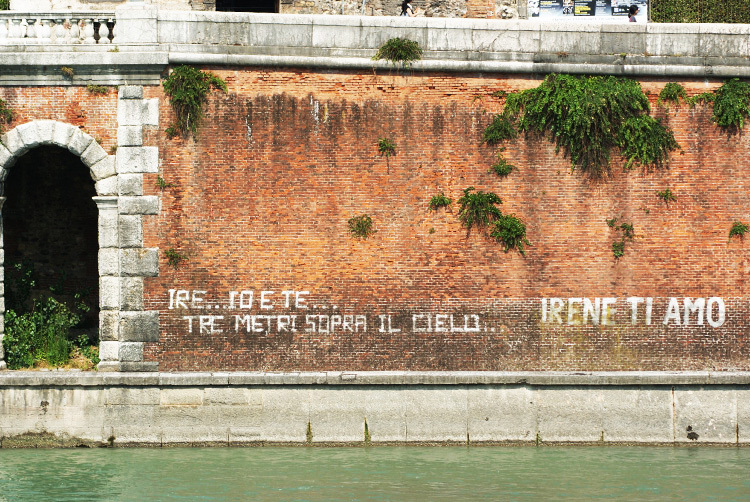 I Love Italy And the creamy Gelatto there.